American singer, actor, dancer, and puppeteer John Tartaglia (b. Maple Shade, NJ, February 16, 1978) is best known nationwide for his eleven years on Sesame Street, operating the puppets at first for minor characters, then for Elmo, Ernie (Play with Me Sesame), or Oscar the Grouch (Sesame Street 4D). In recent years, however, he has had major successes acting and singing on his own on Broadway (Avenue Q 2003, Beauty and the Beast 2006, Shrek 2008), and as the creator and executive producer of his own children’s television series on the Disney Channel, Johnny and the Sprites (2005). Even before graduating from Upper Dublin High School in Fort Washington, PA, John Nicholas Tartaglia had joined the puppetry team at Sesame Street part-time at the age of sixteen. Two years later he was employed full-time, occasionally lending his talents to other television shows as well, with voice-overs on Jo Jo’s Circus, Big Ben, Bear in the Big Blue House and personal appearances on VH1’s Best Of . . . shows and MTV. In 2003 Tartaglia created and acted (through puppets) the roles of Princeton (a recent college graduate) and Rod (a closeted Republican investment banker) in the Broadway musical Avenue Q. For his performance he received the Theatre World Award for 2004, the 59th Annual Clarence Derwent Award (shared with Anika Noni Rose), and a Tony Award® nomination for Best Leading Actor in a Musical. The entire original cast was given a special Outer Critics Circle Award. In 2004 Tartaglia helped to raise $525,000 for Broadway Cares/Equity Fights AIDS at their fourteenth annual Broadway Bares. He left the Broadway cast of Avenue Q in January 2005 to commence work on his new series Johnny and the Sprites, and to appear in a Las Vegas production of Avenue Q later that year. Back in New York, he appeared briefly in the musical Newsical 2006: The Next Edition before joining the cast of the already long-running Beauty and the Beast in November 2006. He was a sensation as the chandelier Lumière, singing and cavorting with a huge candle in each hand. Johnny and the Sprites began to air in October 2005 in five-minute spots. 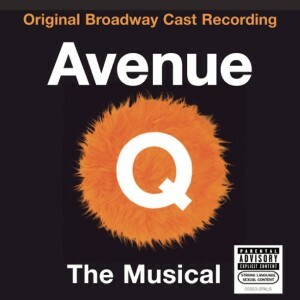 Written by Goldrich and Heisler, featuring original music by Stephen Schwartz, Gary Adler, and Michael Patrick Walker, and starring John Tartaglia, its full thirty-minute format was initiated in January 2007. In the show’s third season it was nominated for two Daytime Emmy Awards®, one of them for Tartaglia as Outstanding Performer in a Children’s Series. Excerpts are available on CD and DVD. Tartaglia claims that the greatest honor of his lifetime was singing at Carnegie Hall with the New York Pops under the late Skitch Henderson. He performed in a one-time benefit revival of Hair in 2004, and served as host of the New York Philharmonic’s concert series for Young People in the 2005/2006 season. John Tartaglia opened in Shrek on Broadway in December 2008, playing three puppet roles: Pinocchio, the Dragon Puppeteer, and the Magic Mirror.